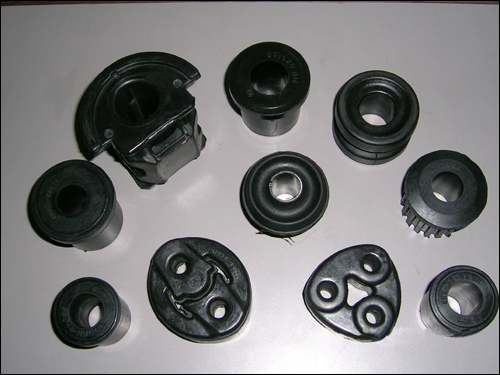 We manufacture Rubber mountings (metal bonded) & Anti vibration pads which have advantages like high durability, heat resistance, shock absorbent and preciseness. 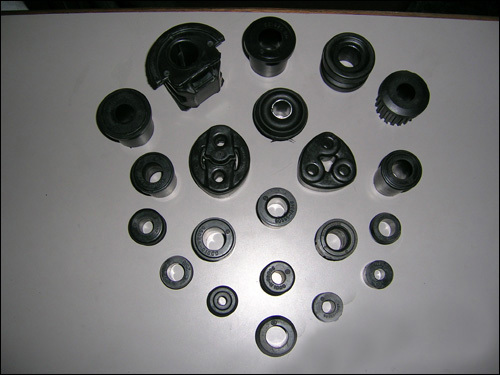 Special mounting for SUVs our range for special mountings for SUVs include engine mountings, sub frame mountings and various other related moulded rubber parts. 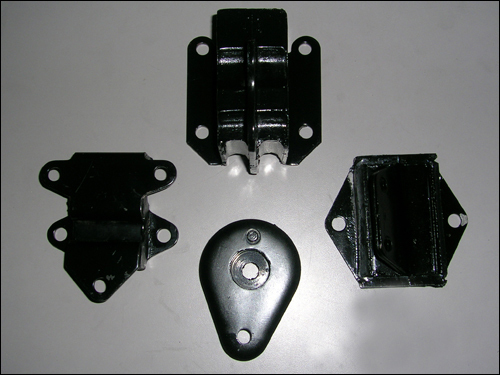 These mounts are made with precision technical expertise to withstand the rough wear and tear of the vehicle. 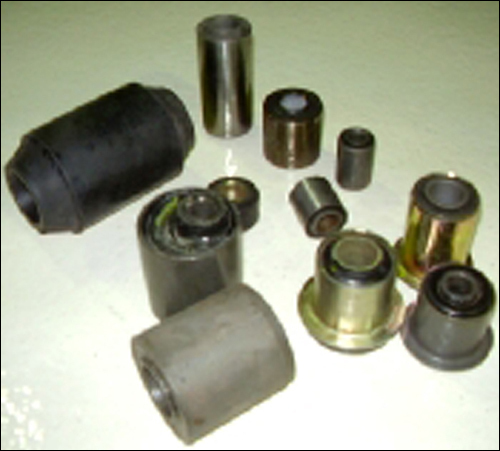 Engine Mounts : are basically devices that connect the various parts of an automobile to its chassis or framework. They also dampen vibration and noise so they will not be felt by the car's driver and passengers. An engine mount attached the engine to the chassis. 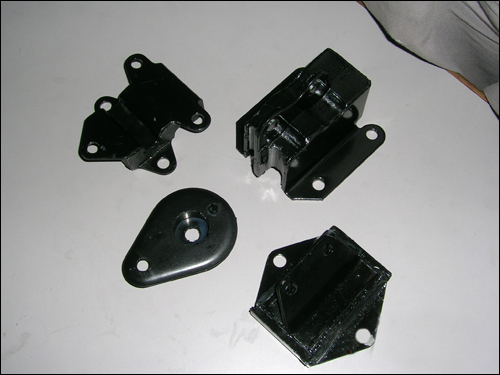 A transmission mount, on the other hand, work with engine mounts to control torque and minimize the vibration transferred to the chassis. It is also the transmount which keeps linkages in their proper positions. 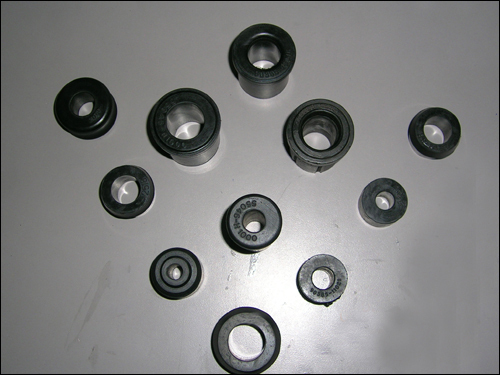 Collar type or Flange type. 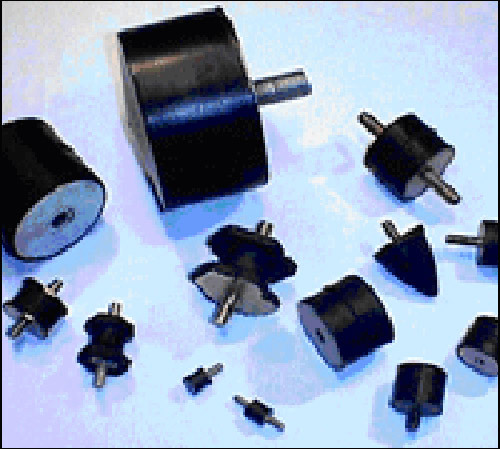 These bushes are used to solve the load bearing problem in vibrating and oscillating systems.